The newly gazetted enhanced traffic fines would come into force only after they were approved by Parliament and this might take at least a month, Transport Minister Arjuna Ranatunga said. 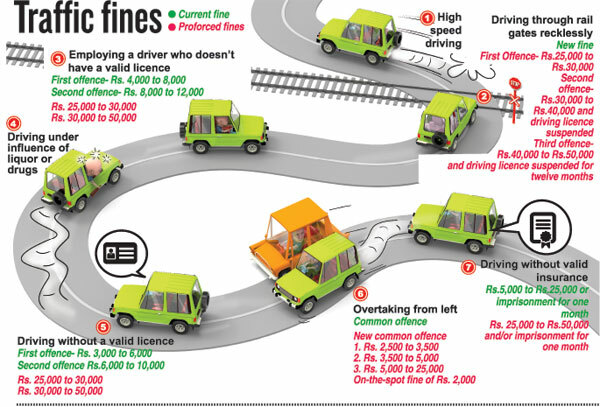 The increase in fines was aimed at curbing road accidents which claim at least 8 to 9 lives a day in Sri Lanka. The Minister told the Sunday Times that it was only the fines related to offences identified with fatal accidents that had been increased in the first stage, as part of the measures to reduce fatalities and the number of road accidents. He said fines for other traffic offences would also be increased in the second stage. Mr. Ranatunga said the ministry was also considering the introduction of the demerit system which would lead to the cancellation of the driving licence when a driver’s demerit points reached a preset mark. The demerit system would be implemented in consultation with relevant institutions such as the Police and the Motor Traffic Department. 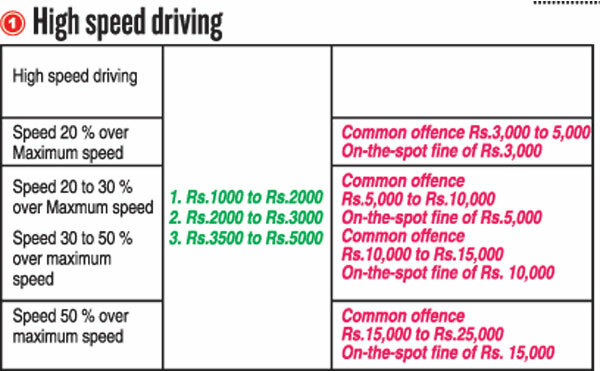 Meanwhile, Police Traffic Chief Ajith Rohana said the new fines on using horns exceeding the permitted decibel level could come into force by July 1. Motorists who have fixed additional lighting devices will also be penalised. The DIG said police have given motorists three months to remove illegal horns and lights. In a related development, a section of bus drivers staged a strike this week to protest against the enhanced fines for speeding and other traffic offences. A passenger rights organisation said that if the bus drivers adhered to the traffic laws they need not worry about the fines.